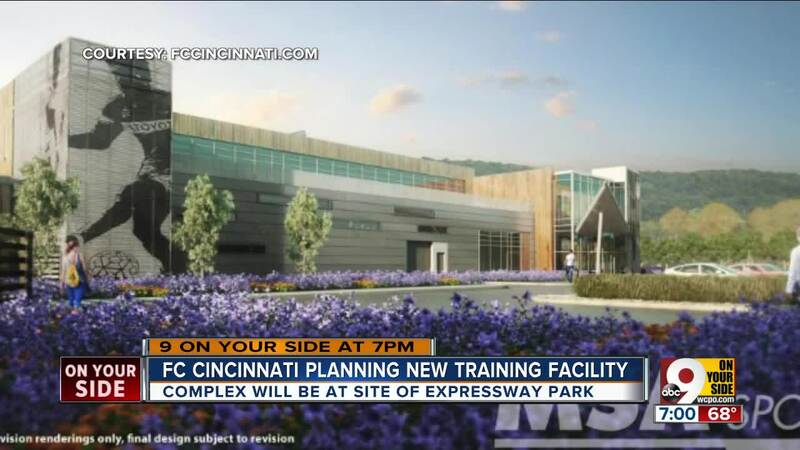 MILFORD, Ohio -- The rumors of an FC Cincinnati facility in Clermont County are true: The club announced Tuesday it plans to construct a "world-class" training facility on the site of the current Expressway Park softball complex. Milford officials and residents who attended a special meeting later in the evening appeared just as pleased as team president Jeff Berding, who received one of the warmest community welcomes of his tenure with the team. "They really see this as a win-win for their community and for the regional overall," he said. Berding presented plans for the facility Wednesday at the county commissioners meeting. The two-story building will include a team building, a youth academy, grandstands, locker rooms and a turf field. The club chose Clermont County for the facility, Berding said, because of the abundance of flat, easily accessible land. The Clermont County Convention and Visitors Bureau is asking for a 1 percent lodging tax to help cover the cost. Speculation that FC Cincinnati would build its practice facility at Expressway Park began to blossom after the owners announced they'd be selling the property and had to vacate by July 9. "Sports is a huge market for us," Visitors Bureau president Jeff Blom said. "It’s the biggest driver of hotel room nights for leisure travel." The training complex is expected to fully operational by July 2019, and all work at the site should be finished by the end of that year. The FC Cincinnati first team will relocate there in January 2019. The estimated $30 million project will occupy approximately 23.6 acres and will serve as the base for FC Cincinnati’s soccer operations, including the MLS first team and future FCC Academy’s training and performance activities. 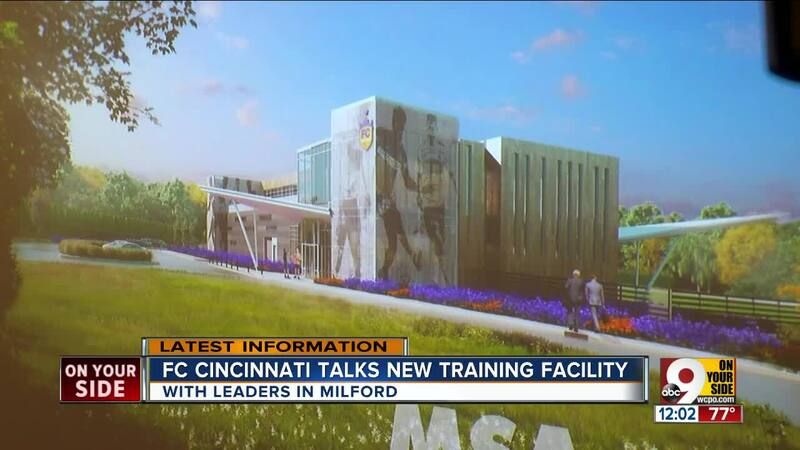 The facility is also expected to host between six and 20 soccer-related events a year, including first-team scrimmages, FCC Academy games and local soccer tournaments. The FC Cincinnati training complex will include three full-size, lighted soccer fields (two grass, one artificial turf), as well as a goalkeeper-specific training area. The MLS team will be housed in a 30,000 sq. ft., multilevel building abutting the fields, while the FCC Academy teams will have their own separate 6,500 sq. ft. center along the practice fields. Additionally, there will be a 3,000 sq. ft. maintenance facility on the property. Expressway Park, located near Milford Parkway and Lila Avenue, has five regulation diamonds, batting cages, a basketball court and pro shop. It's been open for decades. Expressway Park's owners announced the imminent closure last Tuesday, saying they "signed a purchase agreement with an undisclosed client not related to softball." It means the summer softball season will be cut short. Eric Besanko of Milford said he's spent a lot of time at the park over the years. "When these kind of institutions shut down, it's never an easy thing," he said. "There's other parks like that, but this one right here has been awfully handy for folks on the whole East Side."